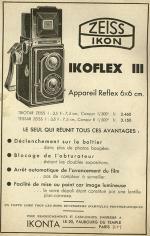 Manufactured in Allemagne from 1938 until 1940. 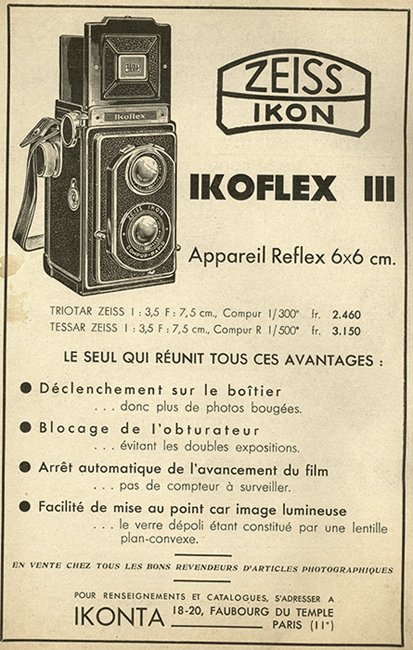 Curiously, this version of Ikoflex, appeared in 1938, first of all was baptized Ikoflex III then retrogressed in Ikoflex II. The focusing is not done any more by actuating a lateral lever, but while turning a knob. 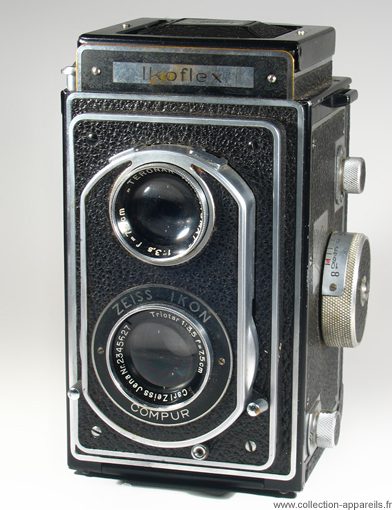 The control of the focusing on the glass ground can be refined by the use of a magnifying glass. This variant Triotar/Compur is called Kc.